In 1991, the group Boyz II Men made a 1975 single titled “It’s So Hard To Say Goodbye To Yesterday” popular with mainstream audiences, and today, many mixed martial arts fans can relate to the song. More often than not, fighters are forced to come to terms with the idea that their careers may be over, and the days of yesterday have passed them by. 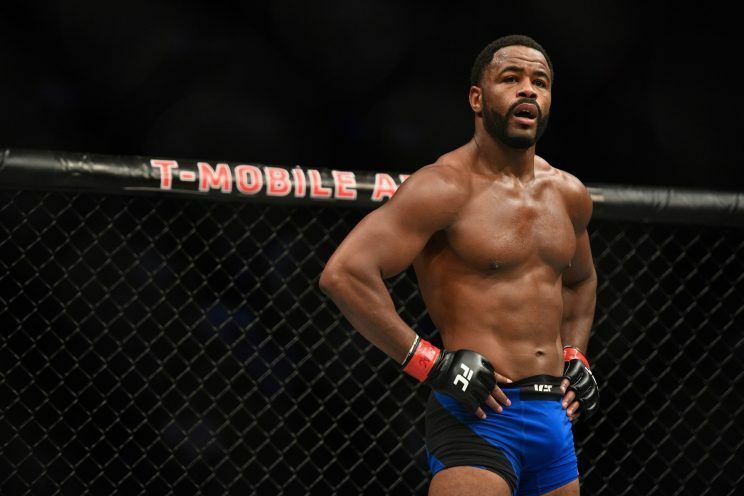 At UFC Fight Night 114, Rashad Evans was forced to recognize that he is past the days when he was recognized as one of the best in the game. 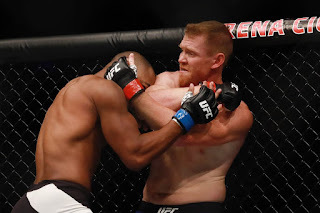 For fifteen minutes against Sam Alvey, Evans bounced his shoulders, flicked his jab and went after takedowns. And even though Evans would score on two of his eight takedowns, he never really looked like he was able to put Alvey in any dangerous positions. One could also say that Alvey didn’t look great at any moment in this fight, but he wasn't the former UFC champion, looking to gain his first win in nearly four years. This is why observers are focused on Evans and the idea that his storied career might have come to an end in Mexico City. This isn’t about the idea that Evans has suffered four straight losses. Fighters go through rough spots, and that’s one of the best things about this sport, because some are able to rise to the occasion hhh and fight their way out them. For example, after Bellator top man Michael Chandler dropped three straight fights, a lot of fans and experts questioned whether he would ever return to form. He responded by taking some time off and winning four straight to get back the Bellator MMA lightweight title. Examples abound of athletes that have returned from injury or compounded defeats to find their hands in the air again. Yet that’s not the case with Evans. Instead, Evans seems to be continuing to regress in a way that’s frightening to watch. This started back at UFC 156 when he dropped a unanimous decision to Antonio Rogerio Nogueira. Evans looked like a fighter that was struggling to pull the trigger. It was if he knew what to do in the moment, but his body didn’t allow him to complete the task. Even though he would earn two wins after that (against Dan Henderson and Chael Sonnen) neither of those wins brought the level of cachet they would have in years before. The same could be said, sadly, of Alvey’s win over him at UFC Fight Night 114. Evans didn’t look like the fighter that excelled on his way to becoming the light heavyweight champion. The explosive takedowns were not there. The power in his hands, the quickness, all of those attributes were not apparent in the Octagon. Alvey landed 45 percent of the significant strikes he threw at Evans. Alvey fought off six takedowns, often forcing Evans back against the cage. The storyline heading into this fight was that we would know if Evans still had it after the bout based on how he performed against Alvey. Well, all signs seem to point to the fact that the New York native isn’t the fighter that he once was. 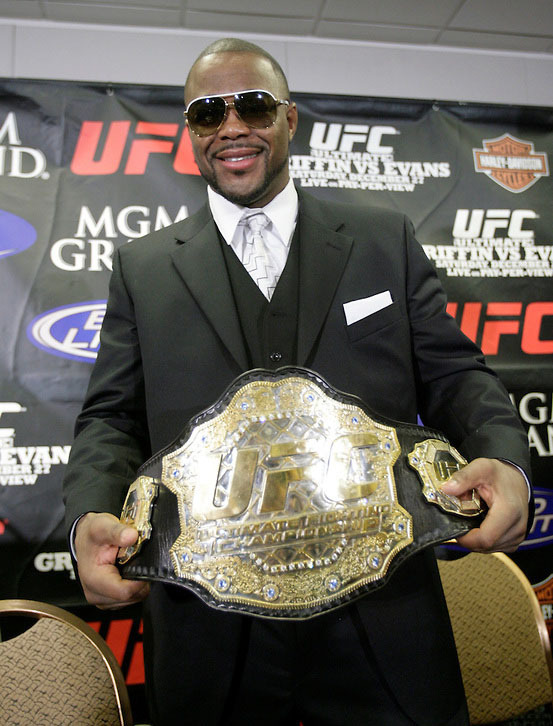 These observations aren't about dismissing the success that Rashad Evans has seen throughout his career. This is the man that dominated Michael Bisping, Forrest Griffin, Phil Davis, and Quinton Jackson. He effectively started Chuck Liddell’s retirement skid. Evans boasts a resume that many would love to own. However, just like others who came before him, his career must come to an end. After his performance at UFC Fight Night 114, that much is clear, as hard as it may be to say it. UFC Fight Night 114: Pettis vs. Moreno took place August 5, 2017 at Mexico City Arena in Mexico City, Mexico.